NMRS: Photocopy of agreement with the wrights to complete the building, 1784. 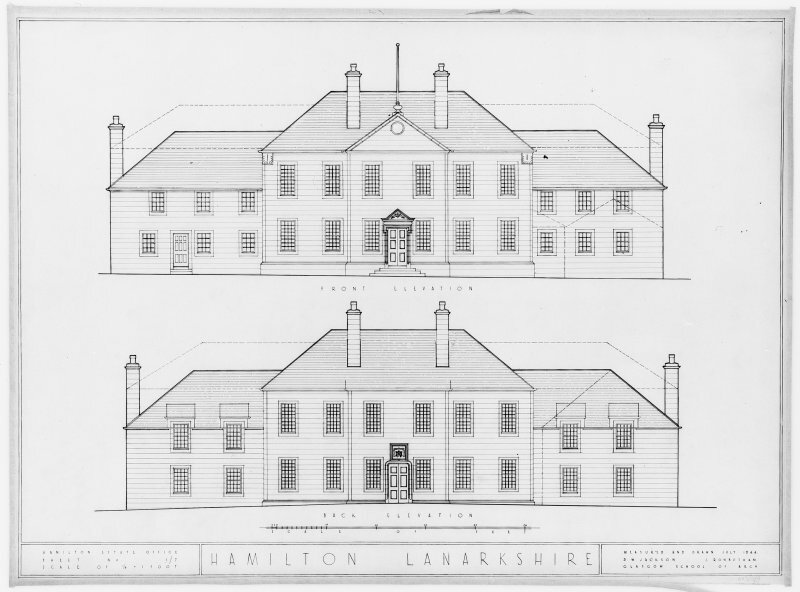 The present Hamilton Museum is the only standing example of a late seventeenth- or early eighteenth-century dwelling house in Hamilton figure 19. 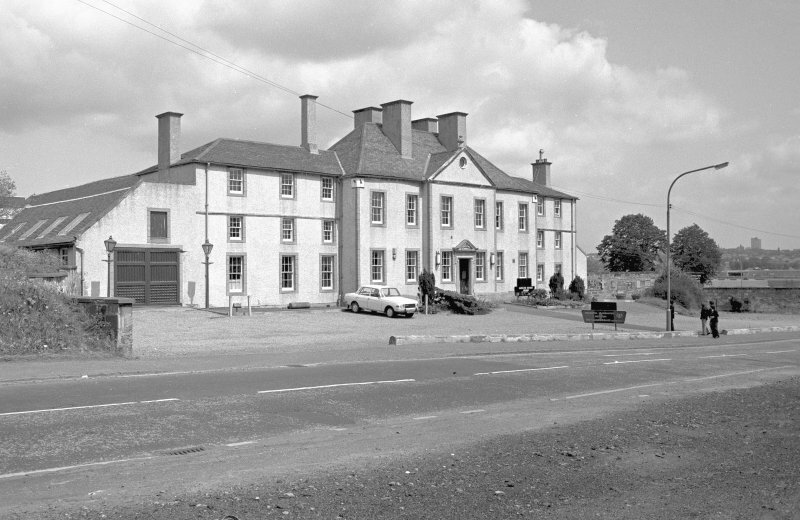 A prestigious building, its construction was commenced in 1696, after the secretary to Duchess Anne, David Crawford, purchased land on Muir Street. Sometime around 1750 the property began to be used as an inn, and by 1 785 it was known as the Hamilton Arms Inn later, Head Inn). 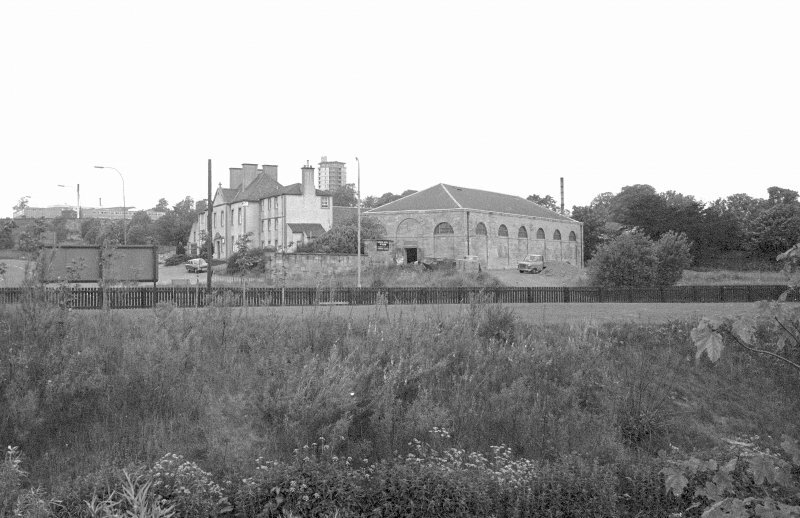 It was sited in a strategic position on the main route from Glasgow in the north to Carlisle in the south. 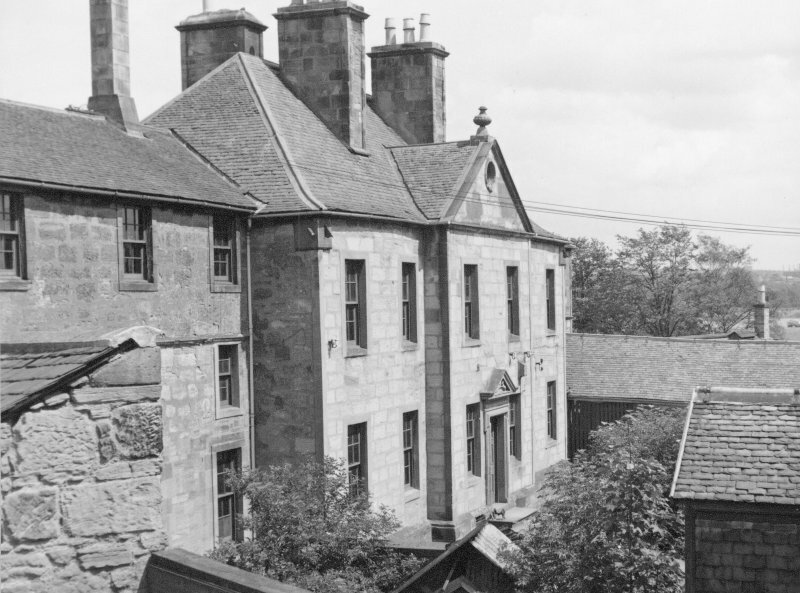 The inn became a regular staging post for the Glasgow to London mail coach after 1788. The attached stables date from these coaching days. In 1784, an assembly room was added and its original minstrels' gallery and plasterwork survive. The windows are examples of early sash windows, introduced also to Hamilton Palace at the end of the seventeenth century. Amongst its famous visitors were Boswell and Dr Johnson, the Wordsworths and the engineer Thomas Telford. As this is the oldest standing building in Hamilton, with many different phases of construction, there is considerable potential for archaeological features and deposits to be preserved both beneath the floors and within the structure of the building itself. Any major alterations within the building, or in its environs, for example the insertion of new services, may reveal the remains of the earlier structure or any outbuildings, and will require archaeological assessment and monitoring. Information from ‘Historic Hamilton: The Archaeological Implications of Development’ (1996).